The taxman was plenty busy today. While the Income Tax department today carried out raids on five popular restaurant chains in Chennai, in Karnataka the residences of the bigwigs of Kannada film industry in a simultaneous statewide exercise. 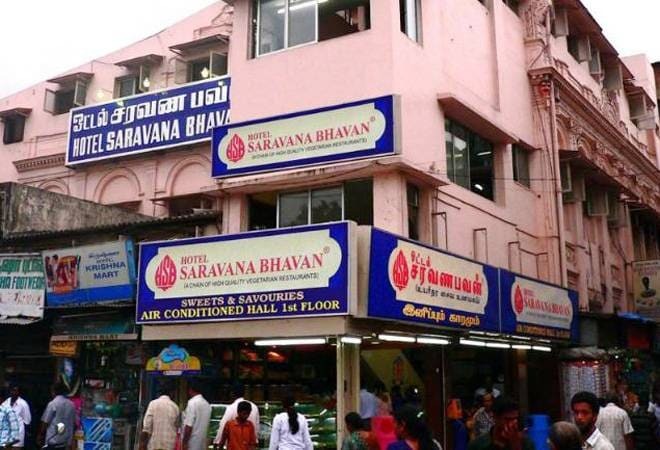 IT raids are were conducted at the offices of Saravana Bhavan, Hot Breads, the Anjappar group and two groups of Grand Sweets in Chennai following complaints of alleged tax evasion, NDTV reported. The tax authorities conducted searches in 32 locations in the city, including the homes and offices of the directors of the restaurant groups, however the restaurants' daily operations were reportedly not affected. "We have information that these groups have been indulging in large scale tax evasion over the last several years. Only after investigation at these places, we would be able to assess," a senior officer told the media company. Among the restaurant chains under the scanner in Chennai, Saravana Bhavan is the most well-known, with outlets in 20 countries including the US, the UK, France and Australia. The Anjappar group, specialising in Chettinad cuisine, has 70 outlets, in India and abroad, while bakery chain Hot Breads has branches in Tamil Nadu and Puducherry. Meanwhile, Karnataka was rocked by raids on the residences of four top Kannada film actors and three leading producers. Officials told PTI that the raids were carried out across 23 locations in the state and involved around 200 sleuths. According to sources, the raids on one of the places unearthed a huge cache of cash and gold ornaments. The IT officials had even brought a goldsmith along to evaluate the seized ornaments.